This fighter was designed to be small, light, manueverable and fast. the design is semi-modular to accomodate many different armaments. it's primary purpose is anti fighter. With most of terra's fleet destroyed by the drathonian betrayal, a hodgepodge of fighter types and shuttles were utilised as a fighting force. need for change came when terran losses became so horrendous as to cause all terran ships to retreat to Altres or terra IV. Due to this, terran engineers designed the perfect multirole/space superiority fighter to give strength and uniformity to the Terran fleet's fighter corps. 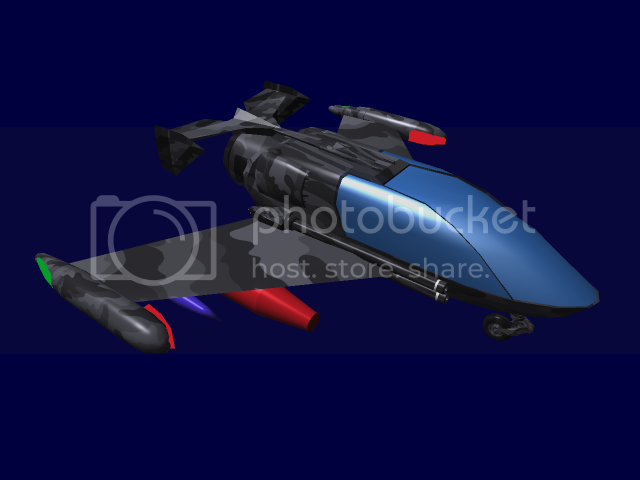 **Appearance:small egg-like body with rear swept wings that have pods on the end. wings end past the fuselage. modular in design so minor details are subject to change. The B version has sharper, more industrial lines than the A and more exposed weapons, as well as wheels instead of skids. the engine compartment is covered by a larger cowl which adds slightly to the armor. The C version has all the changes of the B version, plus extendable tail surfaces. It has a different type of engine which gives it a slight decrease in vacuum control, but vastly increases its capabilities in Atmosphere. combat g-forces. the canopy is made from transparent duratanium. there are numerous volumetric displays showing information from the sensors inside and outside the ship. 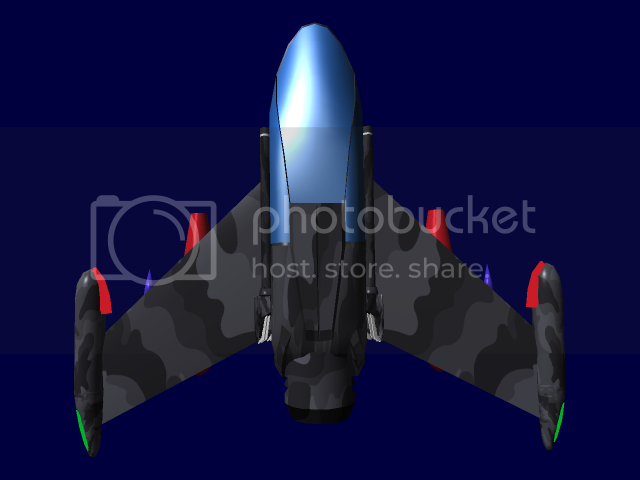 The fuselage and wings are compsed of duratanium plating. there are 12 hadpoints on the ship. 4 on each wing, 4 at the wing roots and 2 on the nose. SF-OS: the SF-OS is an operating system designed specifically for this fighter. Pilot's Helmet: the helmet is wirelessly linked to the SF-OS and can interpret Thought signals, making piloting easier. Emergency eject:there is an emergency eject button for extreme emergencies. Distress signals:the OS automatically sends out distress signals when necessary, unless it is disabled. Distress beacon: the pilot's helmet has a built in distress beacon. Air Recycling System: The air of the SF-X-22 is filtered through a Co2 scrubber which purifies it with great efficiency. unpredictable manner. 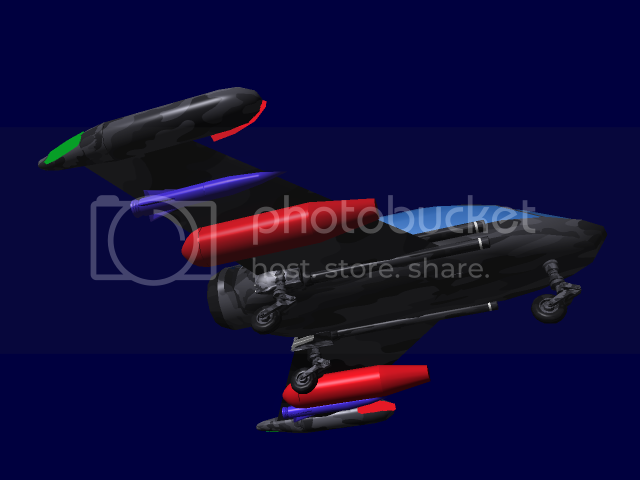 In addition, if ever needed, the ventral thrusters can be used to achieve vertical landing and take-off. High Energy Plasma thruster: The SF-X-22 uses an extremely powerful high energy plasma thruster for its main propulsion. This thruster uses funneled energy from the Energon drive which is condensed into a state of plasma and funneled through the thruster. Propulsion: The fighter propels itself at speeds many times the speed of light by use of a Micro-fold drive. This allows the fighter to travel thousands of times the speed of light. The Scimitars are Powered by an Energon drive. those not originally made with one have been retrofitted to utilise it. Shielding: The scimitar has an immensely strong shield for a craft it's size, allowing it to take more hits than a conventional fighter of similar size would. The shield will also regenerate after a hit given enough time. weapon systems are modular and up to the end user. anything that fits on the hardpoints will work as long as it is capable of communicating with the SF-OS. 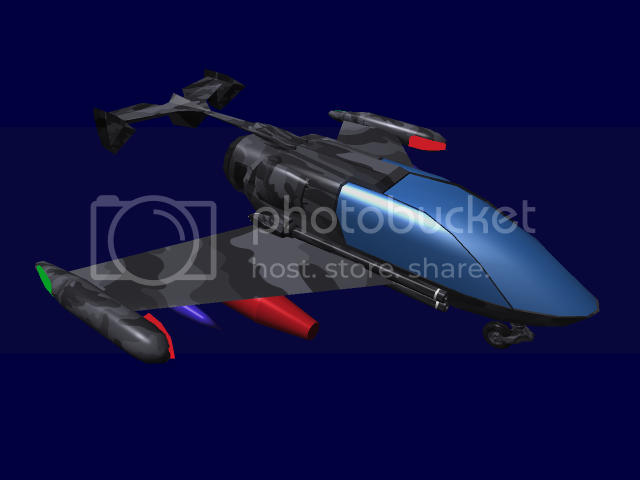 At its prime the Dagger was state-of-the-art and was the mainstay of the Terran Navy. Relatively easy to produce and due to the time of peace they were manufactered by the thousands. At the time of the Drathonian betrayal, the Terran ship yards were among the first areas attacked. This sudden and violent attack resulted in the destruction of the Terran ship yards and thousands of Daggers reducing their numbers dramatically. After the attack the Dagger's role in the navy was reduced as its production was halted in light of a new type of fighter, the Scimitar. The fuselage and wings are composed of duratanium plating. There are 12 hadpoints on the ship. 4 on each wing, 4 at the wing roots and 2 on the nose. SF-TF: An archaic version of the SF-OS operating system used by the Scimitar. Emergency eject: there is an emergency eject button for extreme emergencies. Signal beacons: small remote dropped to signal location. Dynamic Thruster Drive: A network of small front, rear, lateral, dorsal, and ventral thrusters. These thrusters permit very swift and erratic, yet calculated movement in battle. 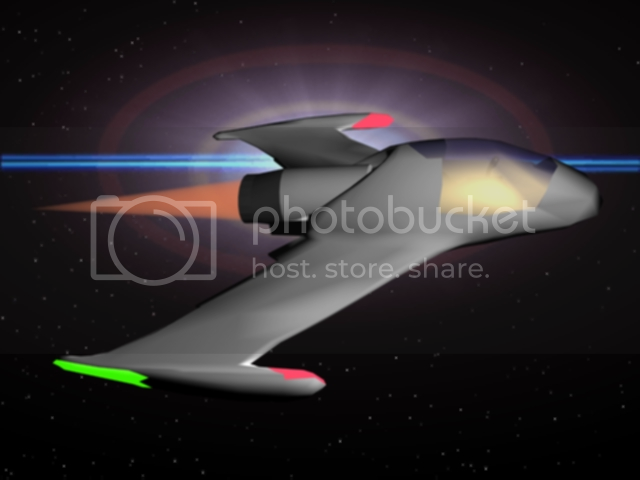 Propulsion: The fighter propels itself at speeds many times the speed of light by use of a Micro-warp drive. This allows the fighter to travel thousands of times the speed of light. The Daggers are powered by an Energon drive. Those not originally made with one have been retrofitted to utilize it. Shielding: Now considered out-dated, the Dagger is equipped with a shielding system that was once the top of its class. Providing excellent protection from most all projectiles, it had a fatal flaw, it was sensitive to heat. Due to this, it was impractical in most situations when fighting enemies who utilize plasma and energy based weaponry. Due to this flaw, the Daggerâ€™s own engines would weaken the shields around its tail end. 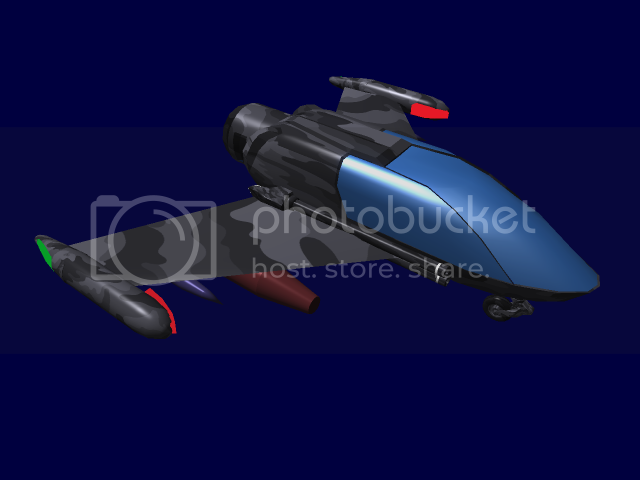 It comes with 4 turbo lasers and 2 missile pods as its main weapon systems. The Shamshir was crafted by two veteran Terran pilots, Jason Roing and Kenneth Eran, after a large space battle with the Drathonians. They both had been wanting a fighter that is similar performance wise to the Scimitar fight, but while still being effective against larger cruisers. 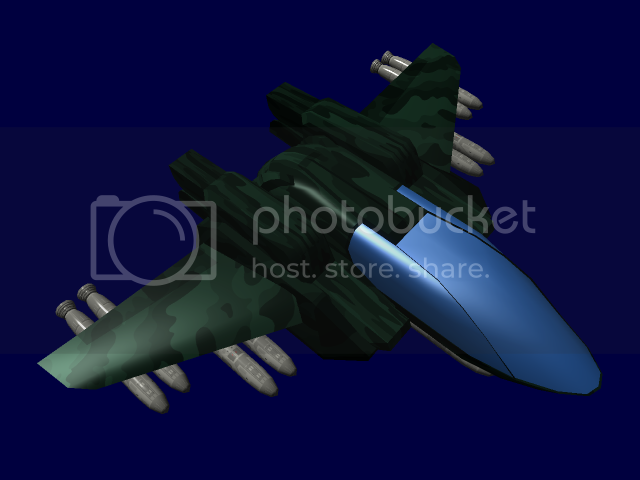 Three years later, they came out with a prototype model of the RS-T7200 Strike Bomber â€œShamshirâ€, and quickly sold the plans and the prototype to the Terran Republic. Fuselage and wings covered in double reinforced duratanium for added protection (at the cost of speed). Both fuselage and wings contain several sensor nodes so as to alert the pilot to anything that could be wrong in the fighterâ€™s systems during combat. 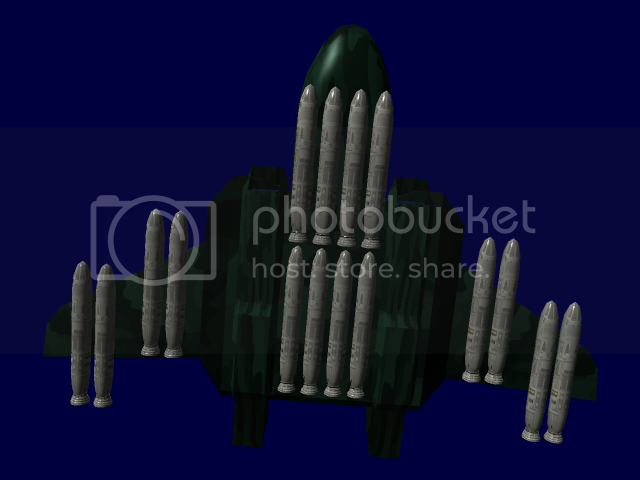 V1-55Aâ€“ the V1 is a state of the art targeting array which informs pilot/bombardier of many different variables (such as: target location/position, wind resistence [within atmosphere], electro-magnetic disruption [which throws of missile targeting], payload drift [due to gravity and/or otherwise]). Homing beaconâ€“ a simple computer guided robot deployed ahead of RS-T7200 as a scout and reference point for when commencing bombing runs. Emergency oxygen supplyâ€“ in event of a compartment rupture. Emergency ejectâ€“ removes cockpit canopy if pilot need to escape quickly. Emergency side hatchâ€“ for secondary crew to escape quickly if need be. To compensate for its lack in speed and maneuverability, the RS-T7200 is equipt with very effective shielding systems. Its reflector shield are capable of taking many direct hits before failing. In the event of shield failure, the RS-T7200's double reinforced plating takes over. The plating has three layers, the top and bottom layers made of solid duratanium, while the middle layer consists of ceramic tiles. This layering system alloys plating to absorb much of the energy from an attack. Standard with eight dual missile racks. Can be altered to house missile bays in expense of engine effectiveness. The Caballero is a multi-purpose utility craft that was originally designed for Civilian use, but refitted for non-combat military roles. 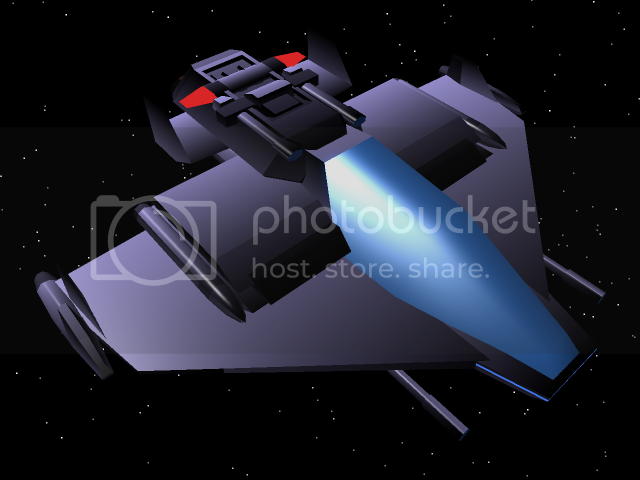 It can be used to ferry cargo and passengers short distances between starships, starbases, and even between a ship and a planet. The Caballero builds on an ancient idea of a small craft capable of shuttling small volumes of cargo short distances in air and space. The Caballero is the culmination of such theory, allowing for practical use in both space and atmosphere. The body paneling is made out of Titanium coated with a thin plating of Duratanium. The cockpit canopy is made of solid, 3 inch thick transparent Duratanium. The Caballero uses basic navigational computers to calculate flight paths into and out of the atmosphere, as well as to aid in landing inside a cramped area. The Cabalerro uses a compressed inert gas system which snuffs out fires on board. it also has an emergency locator beacon. Good Old Air scrubbers, these need to be changed every 6 months. 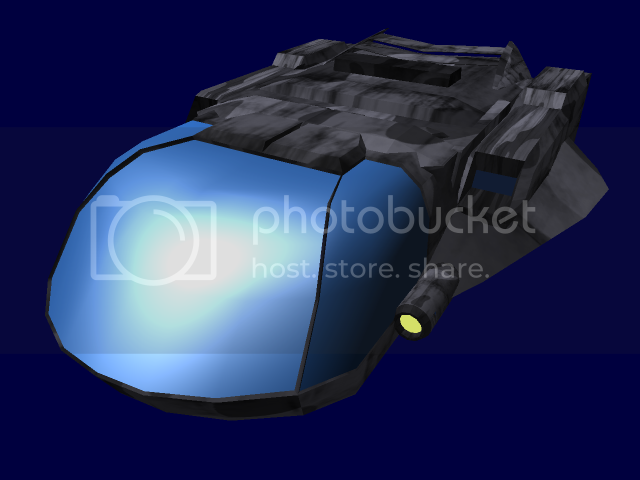 The Caballero has Ion thrusters for propulsion, giving it a high rate of acceleration and a decent top speed. The Caballero uses a Micro-plutanovics projector for protection against many kinds of weapons, as well as the natural hazards of space. The Caballero has navigational and utility lighting in the form of two spotlights, one to either side of the cockpit. each light can swivel 45 degrees to increase range of illumination. The Caballero shuttle has a rather large internal capacity, and its cargo area contains folding seats, which fold into the walls and floors, allowing the shuttle to either have a completely open cargo area, or seating for up to 60 fully equipped soldiers, complete with restraints for rough rides. The Herring dropship was developed for quiet, low-detection flight and retrieval. Essentially, it was created to be used for tactical deployment and extraction of troops into areas that would be otherwise unreachable by a detectable vessel. 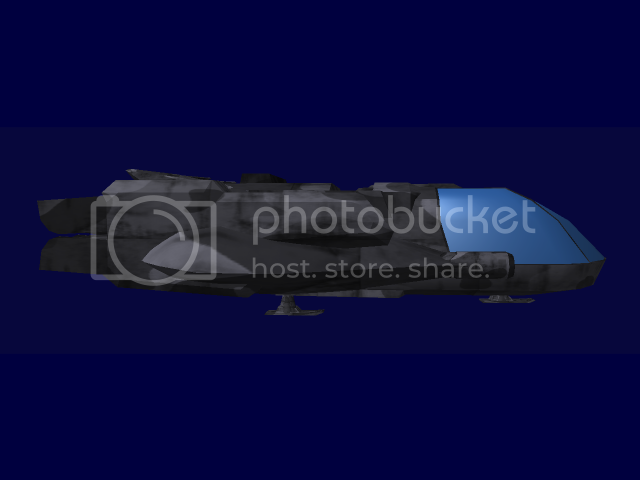 The Herring is one of the most recent incarnations of the long line of Terran dropships. For hundreds of years, dropships have been employed as the primary strategic troop transportation vessel, both on the ground and in space. With the exception of the specially designed boarding rockets, dropships are the almost exclusive transportation vehicle used by the UTR. Front consists of 2 pilot seats and frontal gunner position. Second compartment is transport room, followed by rear gunner position. Underneath small, heavy segments of ship plating, flip-out volumetric emitters are safely protected from stray fire. While hovering at an extraction point, the ship flips out the emitters , and creates a convincing photonic camouflage over itself. The 'holograms' are practically flawless, and work especially well over treetops, craggy rocks, and other ships. 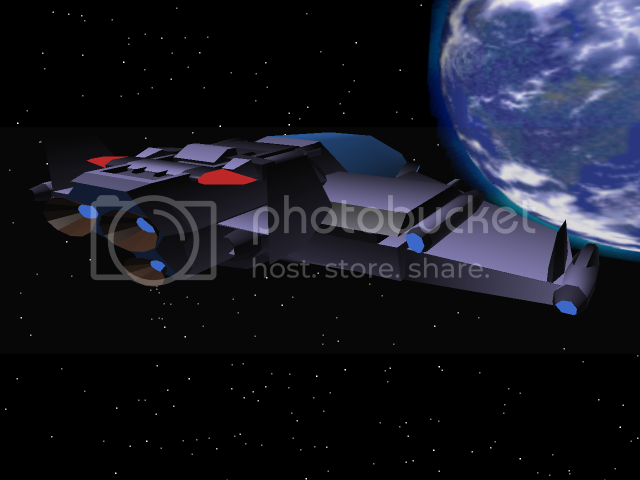 The volumetric emitters use an exponential amount of energy, so the ship can only use them while the main engine is disengaged. This may prove fatal if the ship is discovered off-guard. 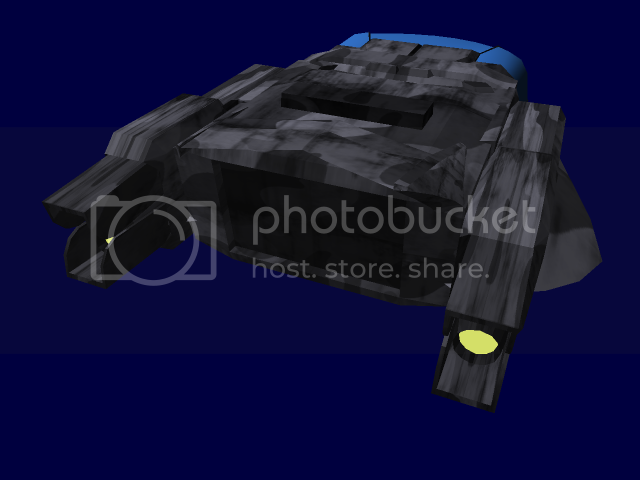 The emitters work in conjunction with the PDSs to maintain a low hover while still being able to power the emitters. Space variation model is fully equipped with standard life support. Particle Displacement Stabilizer (PDS): The PDS is the primary anti-gravity system used by the UTR. It is employed in tanks, dropships, and other gravity-based vehicles. The S-94 and other dropships use a modified version of the standard system, allowing the particle displacement to work at higher altitudes and with heavier loads. The PDS works by 'displacing' particles... effectively pushing them underneath the vessel to create a cushion of air for it to float on. Obviously, in the vacuum of space, this isn't very effective. S-94s retrofitted for nonatmospheric conditions generally drop the PDSs for low detection booster engines. Particle displacement stabilizer (PDS) on each side, specially modified 'silent' running engine in rear. Very low noise output. Light - 24% shielding around cockpit, wings, engine, guns, and unloading doors. 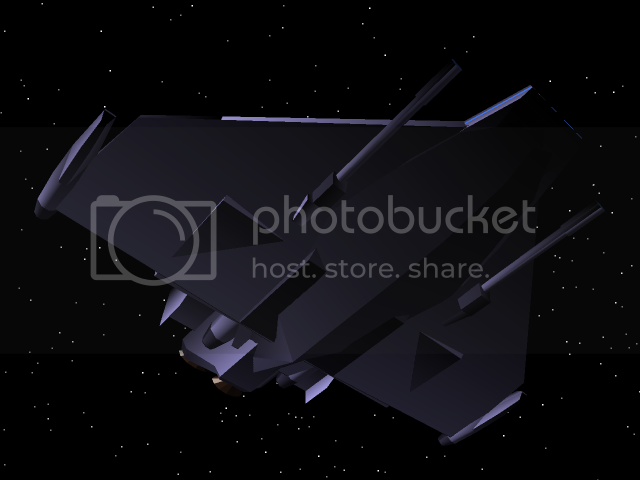 Modified light pulse laser arrays(2): these weapons are a modified, smaller version of the best defense against fighters, projectile weapons, boarding pods and shuttles available. They are placed at the fore and aft sections of the dropship. Damage: light (27). can hurt both shields and armor, the pulse type shot can be calibrated to specific wavelengths to allow instant deactivation of fighter shields, like an EMP pulse.